PagBrasil had the pleasure to collaborate, alongside SAP, Mazars, Teleperformance and Safe.Shop, in the Brazil Ecommerce Report 2018, published by Ecommerce Foundation in December 2018. For the report, our CEO, Ralf Germer, was interviewed and discussed m-commerce and mobile payments in Brazil. Check out the full interview below. If you want to know all the latest numbers of the Brazilian e-commerce market, download the report here. Brazil has been called ‘hyper-social’, with this spilling over into the online world. With over half of companies using social media, how do you see the future of mcommerce in the market? Mcommerce represents the future of the ecommerce industry worldwide. In countries like South Korea and the UK, mcommerce already represents more than half of all ecommerce sales. Japan, China, and the USA are not far behind. The segment shows steady growth everywhere and this is also the case in Brazil. From 2011 to H1 2018, mcommerce grew by over 10,000%, from only 0.3% to 32% of all ecommerce transactions. The wide adoption of smartphones, which is becoming more and more the primary way of surfing the internet for Brazilians of all income classes, offers a tremendous opportunity. In addition, social media, with 130 million Facebook users and 64 million Instagram users in Brazil, mainly accessed through mobile devices, is currently a boosting factor for mcommerce. In the next couple of years, we will see sky-rocketing sales growth driven by these two elements. We also believe that in-app purchases will play an essential role in driving steady sales growth. One of the main challenges that still has to be overcome is the need for seamless mobile payment methods. For instance, boleto bancário, the most popular alternative payment method in Brazil, has been developed for the offline world. Although it has survived the advance of ecommerce, it is stuck in the 90s in terms of layout and usability. With this in mind, PagBrasil took it upon itself to bring boleto to the 21st century. Our Boleto Flash® not only solves the layout problem, thanks to its responsive technology, but it provides an optimized payment experience on mobile devices, including in-app payments, and the fastest payment confirmation. Usually, it takes one to three business days for a boleto to confirm, and our Boleto Flash® confirms in under two hours. Therefore, mcommerce will not only be the main driver for ecommerce, but also for the payment industry. Social media is the key accelerator of mcommerce in Brazil. Brazil lagged behind when it came to smartphone adoption but is now catching up fast. How is this changing the ecommerce landscape in term of shopping behaviour and payment? Smartphone adoption is a very important development; I would even say an important social development. Up until a few years ago, the internet and ecommerce were exclusive to the middle and higher-income groups in Brazil that could afford a PC and an internet subscription at home. Also, smartphones were expensive in the beginning. Now that smartphones and phone plans have become affordable, more than 100 million people in Brazil from the lower income groups suddenly also have access to the internet. These additional consumers want to buy things online, get online education, consume content, use services through apps or date online. Smartphones are their only way to connect to the internet. 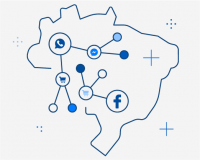 Although not everyone in Brazil has a smartphone yet, 92% of Brazilian households have at least one mobile device and 60% of all internet users primarily connect to the internet via their mobile devices. The number of people browsing and paying using their smartphones will increase exponentially in the short term. For this reason, Brazilian ecommerce businesses are forced to adapt to deliver the best experiences for smartphone users. For instance, the study Profile of Brazilian Ecommerce 2018 pointed out that, currently, 76% of all ecommerce websites in the country are mobile friendly. This is an enormous leap from 24% in 2017 or 16% in 2016. Businesses know there is no way they can compete in the market if they do not provide a good browsing experience for consumers accessing their websites from mobile devices. 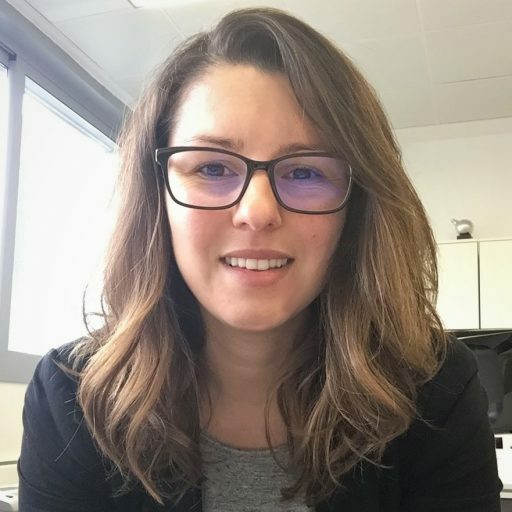 In the area of payments, we also see new solutions aimed at facilitating the checkout on these devices, where inserting payment data can cause a lot of friction and be frustrating for buyers. One-click payments, Boleto Flash® and convenient mobile payments options, such as Android Pay, Samsung Pay or Apple Pay, should gain market share over the coming years. Brazil has a large population of unbanked adults. What has contributed to this situation, and do you see it changing in the near to medium future? About 55 million adults in Brazil do not have a bank account. Many of these are obviously the poorer ones, but there is also a large number of people from the middle-income class that just prefer to use cash. While the Central Bank of Brazil has financial inclusion on its agenda and has indeed created initiatives that have improved the situation during the past years, universal access to financial services is still not a reality in the country. About 20 million out of the unbanked population have some sort of participation in the financial system through pre-paid debit cards or other fintech initiatives, but no traditional bank account. According to data from the World Bank, 58% of these unbanked adults live in the poorest 40% of households. About 60% of unbanked Brazilians decided against a bank account due to high costs and another 33% stay unbanked mainly because of the geographical distance to the next bank branch. This should change soon with the rise of digital banks in Brazil, such as NuBank, Neon or Next. This new low-cost competition, in combination with increased internet coverage and penetration, basically eliminates the two main reasons for being unbanked. Younger people, at least, in regions with good internet coverage, should adopt quickly. What are the main drivers that push Brazilian shoppers to buy online using their mobile phone? Brazilians are keen to try out new things and embrace technology in general. In the big cities with dense traffic, it often takes a long time to get to a place where one can buy specific goods or services. In the rural areas of the world’s fifth biggest country, and in smaller towns where about half of the population lives, far too many things are not available in local stores at all. These are the main drivers for ecommerce. Now this is shifting to mcommerce, as mobile phones provide the primary source of internet connection and the improved browsing and shopping experience for smartphones fuel this trend further. What does the future hold for Brazilian ecommerce payments? Do you see new forms of mobile payment such as within messenger apps becoming more popular? Messenger apps like WhatsApp are huge in Brazil. The Facebook-owned app has around 120 million active users in the country. With this scenario, payments within this type of app could be massive. There are different initiatives and our PagBrasil team is also working on solutions, but so far there is no predominant solution on the market. We believe that mobile cash payment methods, that provide a convenient way to buy goods or services online, and instant P2P transfers, are the most promising areas to explore. 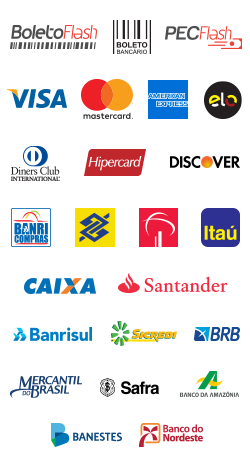 Brazil’s future in ecommerce payments is being formed by many innovative fintech companies, fuelled by the increasing flow of local and international investment capital. I would not be surprised if Brazil, and some of its fintech innovations, stands out at a worldwide level in the near future.